Do I Qualify to Teach? 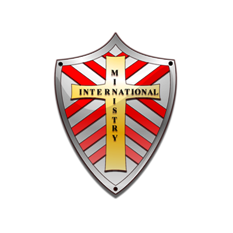 – Ministry International Inc.
Do I Qualify to Teach? Do I Qualify to Teach and What are the Benefits of Teaching? Ministry International Institute (MII) gives you the rare ability to student-teach. In other words, if you qualify, you can teach the course at the same time you are taking the course. This would allow you to receive an additional 15 credit hours per year in addition to the credit hours you will earn upon completion of the course. Also, MII shows our appreciation to teachers by providing them with a full scholarship! So, What Does it Take to be Qualified? You must either have a college degree or you must be an Ordained Minister with proof of high school graduation or a GED. As a college graduate you will have to provide MII with an original transcript from the college you attended. If you do not have a college degree, you would be required to send MII a copy of your Ministerial Ordination and an original transcript of your GED or high school transcript. Those desiring to teach must have a place for students to be able to meet. Classes can be held in a church, a building, or in a home.